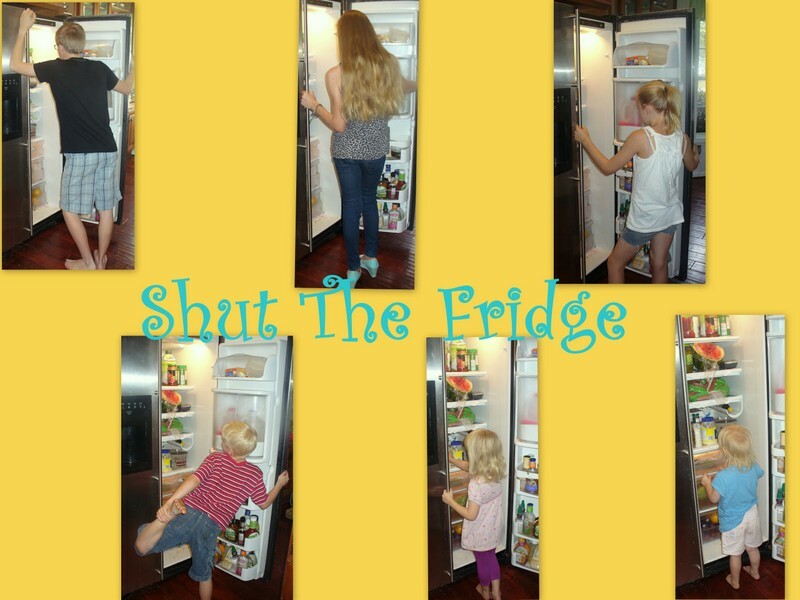 Shut The Fridge: Le Francais Facile! No, this isn't Facebook and I haven't chosen a "fun" language to try on my page....although I gotta admit, I did enjoy "Pirate Speak" when I could understand it! 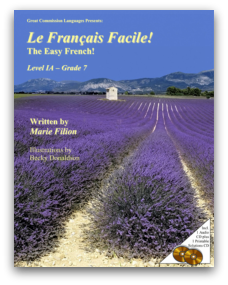 The translation for my post title: The Easy French!, is a product by Great Commission Language, written by Marie Filion. Yup, it is a curriculum review product for TOS (The Oldschool House Magazine). I do not speak French. I never took French in school. I did take two years of Spanish. 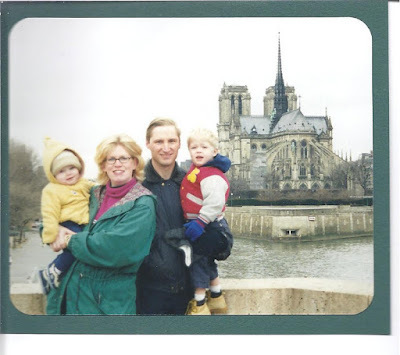 Could I still "teach" French? Well, sort of. This book is laid out so easily, I do not have to "teach" it....it sort of does it all by itself. Let's face it.....the French language is beautiful and has interested me....as does France....for quite a while....probably since I saw the movie French Kiss (with Meg Ryan and Kevin Kline).....aaaahhh.....oui.....oui.....J'aime Francais! I have been to Paris....very briefly....too briefly. And, while Rainman had taken four years of French in school....he couldn't really speak it other than some of the basic stuff to help us order in cafe's .....things like.....the words for please (s'il vous plait), thank you (merci) and hello (bonjour). He could, however, read the signs which greatly helped us navigate through the subway/train stations. Very very helpful....just not very romantic. So, I have developed big dreams. 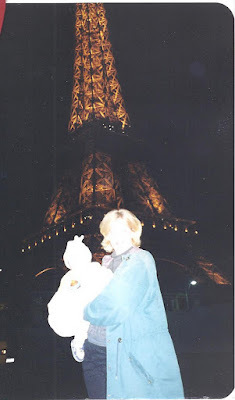 One: To return to Paris. Two: Take the trip when all of our kids can go with and remember it. Three: Have some of us be able to actually speak French and be understood by the time we go back. It wouldn't hurt if my husband refreshed his French enough to speak sweet nothings in my ear as we sat at a sidewalk cafe either. I think we may actually have a shot at that with this curriculum. The Easy French! 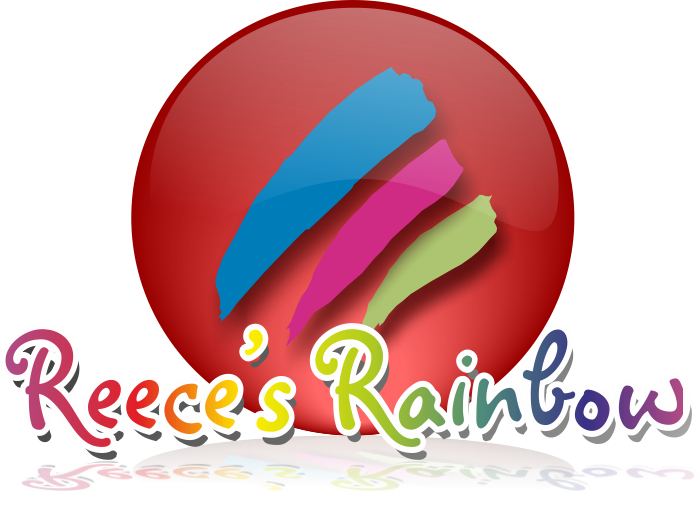 is an actual full curriculum and has written lessons, that include vocabulary and grammar, along with an audio CD so you can hear how things are supposed to sound. We used Level 1A which is geared towards around 7th grade and higher. In addition to the audio CD, it also came with a data CD that has answers to the textbook questions.....so, you could turn your kids loose to let them swim with the sharks and learn a new language but still be able to grade their work. We also got the test booklet, answer key and the phonogram flashcards. This book has 18 lessons plus a bunch of fun extras, like recipes...Ratatouille anyone? It isn't just a Disney Pixar movie! Or you can learn how to make lavender wands, soap, or bath oils. They really like lavender in France. Here is an interesting tidbit I learned in the introduction of this book.....a new language is best learned initially by listening to a female voice.....so this curriculum begins with a woman and moves into a male voice later in the year. I also learned that there are different French accents....which really shouldn't surprise me....but, it did. There isn't just one American accent, so I should have known better. This curriculum uses something called International French which is easier to learn for a beginner than the Parisian accent (although I am assuming that when I go to Paris my International French will be so spectacular that they will have no problem understanding me). Would you like to know some of the details of why I like this curriculum? A few years ago, we purchased a well known foreign language curriculum, a very expensive foreign language curriculum. It is nice. But, it involves a lot of teacher preparation and thinking on my part....and honestly, I am still not sure if I am doing it right. The Easy French! curriculum is just so well laid out that I really don't have to do much thinking/planning before the lesson. They have even gone so far as to put together a Lesson Planner Template that lays out what days you should do what activity. (For example: Listen to the story - Monday through Friday; Write your vocabulary - Tuesday; Review your checklist to make sure you are on track - Friday). It makes the lesson planning so much easier because it is all right there....you don't have to try to remember to tell the kids to do their lessons....or what to do....because it is Wednesday. Each lesson has a certain structure....again....something I like. It starts with the story, then moves onto specific vocabulary for that story, then there is a section that has student helps, a suggested scripture for memorization, a cultural note, some trivia, everyday vocabulary, and finishes with an activity. Click here to take a look at a sample lesson. You can pick from any of the levels...not just the one I used. Eventually, we will need to get a good French-English dictionary and a conjugated verb reference book....to use in conjunction with the curriculum, but for now, we have everything we need to get ready for Paris. For me, it is great hearing and learning the French....but, since I am a trivia girl, I think I am really liking the cultural notes and trivia even better. For instance, a cultural note about the confidence of French women. It says, "Marie's mother (the mom in the stories) is a French woman who is very confident. Many French women carry themselves with an air about them. Some think that is is pride, but for the most part, it is confidence. The French culture celebrates women and that shows up in their countenance." I wish America celebrated women a bit more, don't you? Or this bit of trivia: "Many schools in France have a four day week. Wednesdays were traditionally used to run errands and for private study. Saturday used to be a full school day, then became morning studies and recently, due to parental pressure, many schools no longer run a Saturday program. French children have to work hard if they do a four day school week. Their days can be as long as nine hours, with seven hours of lessons and a heavy homework program." I am excited about the possibilities this language program will bring to us. It is easy to use. I don't have to be hands on....although I like listening to French so much....I sometimes put in the audio CD just to listen, even when there isn't a lesson happening. Did I mention how easy it is to use? Why is this what the unisex public toilet looks like in a Paris cafe? 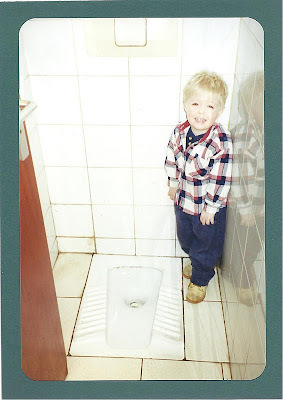 Yes....really.....a hole in the floor.....it still makes me laugh when I think of my mother and mother-in-law realizing that this really was the bathroom. At least there were little grippy things on the side for you to squat over....right? D-man (seen above) thought it was the funniest thing too....which is why I took a picture of my little boy in the bathroom! A girl can dream, can't she? So, until then...... Adieu mon ami! Check out Great Commission Language to see if they can teach you a new language so you can take an exciting trip somewhere (they also have a Spanish curriculum El Espanol Facil) and speak like the locals! The Easy French! Level 1A can be purchased here for $84.95. The test booklets can be purchased here for $10.00. The French Phonogram flashcards can be purchased here for $10.00. Check out what other members of the TOS crew thought of Great Commission Languages by clicking here. We received a free copy of The Easy French! textbook, test booklet/answer key and phonogram cards in exchange for an honest review of the product.